Here is the newly updated list of Pulitzer Prize for fiction predictions from PPrize.com. It doesn't look too different from their initial list except one less Joyce Carol Oates title, and the order is a tiny bit different. My progress through the Pulitzer possibles has been disrupted by a recent bout of American Lit. Classics that I have been unable to put down. 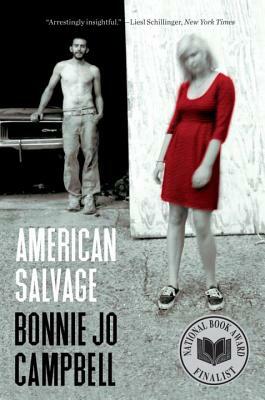 But, I have read a few of the remarkable short stories in American Salvage by Bonnie Jo Campbell. Stark, vivid, and compelling, these are not for the faint of heart. Set in Michigan, Campbell's stories chronicle the decay of morality and the American Midwest. Abuse, drug use and poverty abound, and should it win the big award, I think American Salvage will make the perfect compliment to last year's far sunnier winner, Olive Kitteridge.